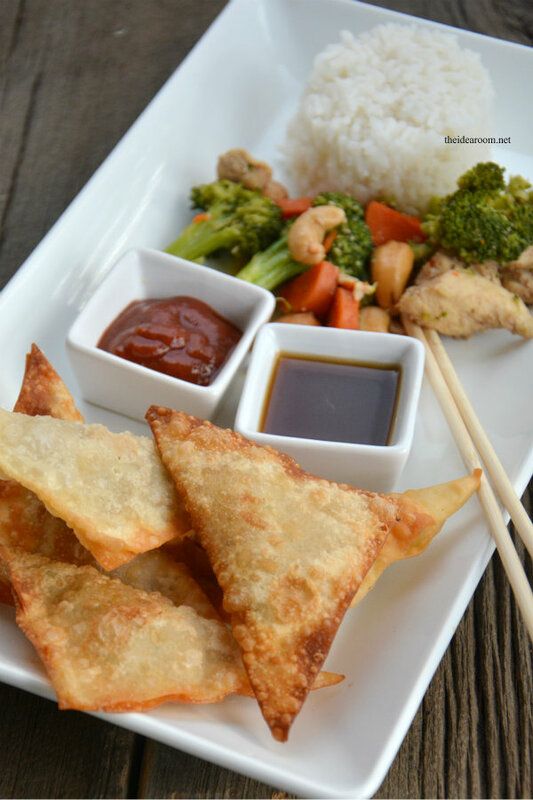 One of our favorite recipes to make on special occasions are these delicious Wontons! We have used this recipe for years growing up. We were given this recipe by one of my Dad’s friends who was from Japan. These always remind me of her and Christmas, because we would usually make up a batch to enjoy as part of our Christmas Eve Appetizers. 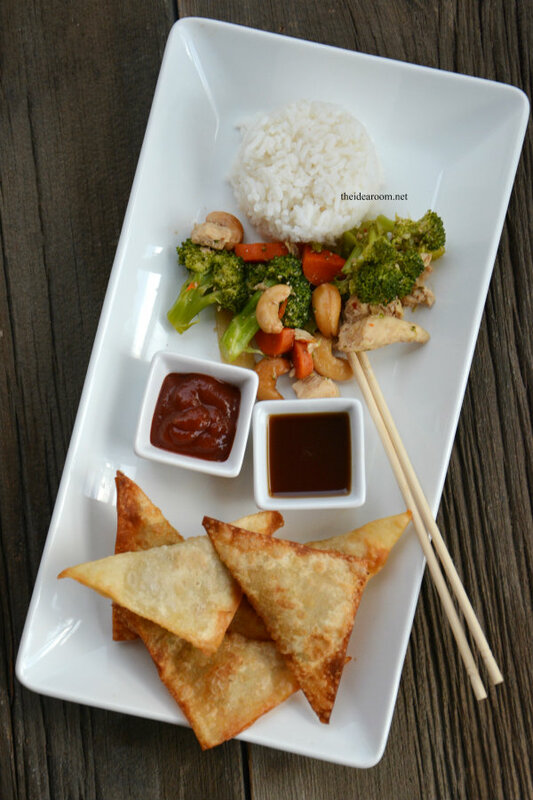 I love them so much that I will make them a couple of times a year when we have an Asian meal for dinner. They take a little bit of effort to make, but are not difficult by any means…but they are so worth it! These are the real deal! 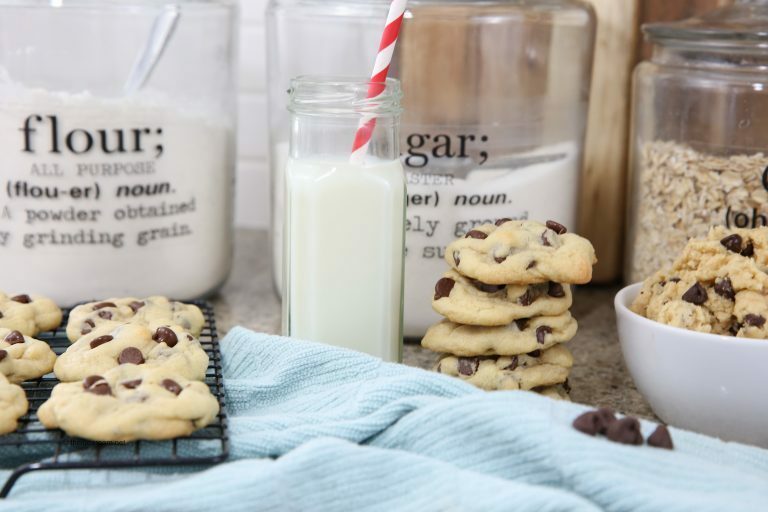 These will become a family favorite! My kids actually cheer when they find out I am making Wontons for dinner and they always beg to help make them…which admittedly can sometimes be more work…but it is all worth it in the end. And we have a great time working in the kitchen together preparing our meal. Brown your sausage over medium heat in skillet. Drain off the fat and set aside. Beat egg in a medium bowl with a fork. Add water chestnuts, onions, celery, and shrimp. Mix together. 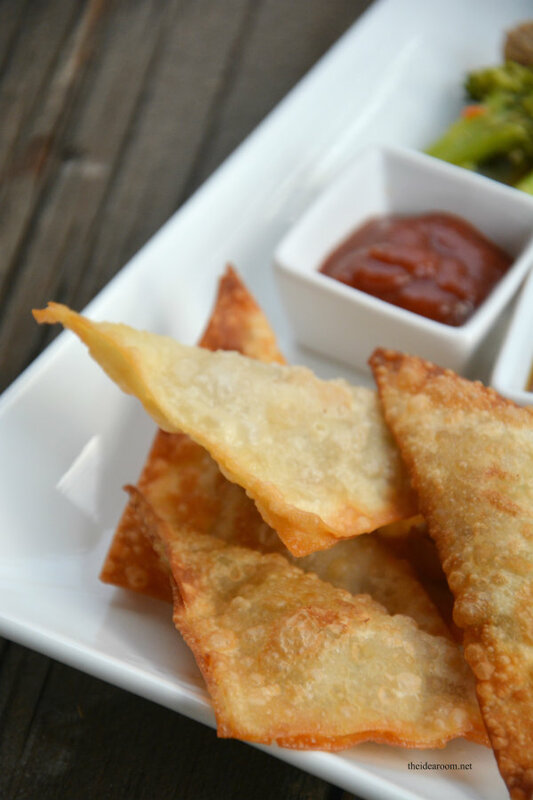 Open your Wonton Skins (usually found in the produce or refrigerated section of your grocery store). Fill a small bowl with the water and cornstarch and mix them together. This will need to be stirred occasionally as you make the wontons so that the solutions stays mixed together. This is used to seal up the wonton edges. 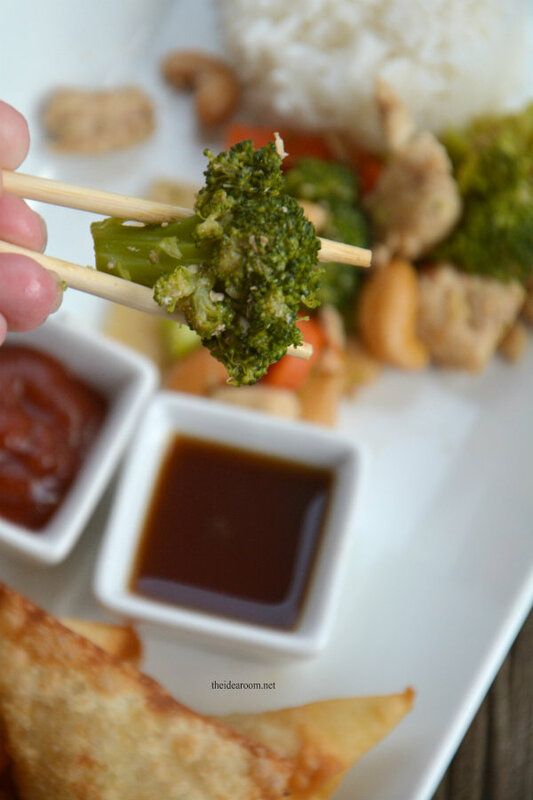 Take one Wonton Skin at a time and add about 1 to 1 ½ Tbsp. of the sausage mixture to the middle of the wonton. Dip your CLEAN fingers into the cornstarch water and run them along the edges of the won ton. Fold the Wontons into a triangle and then pinch the edges together so that the meat will stay inside and it seals up nicely. 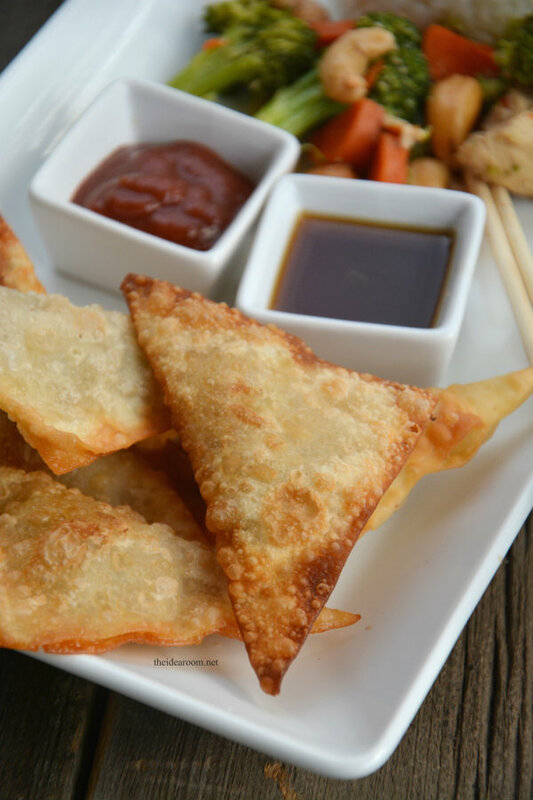 While preparing the Wontons into triangles, heat up some frying oil so that it reaches a frying temperature. Fry the Wontons until they are golden brown. Pull them out and let them drain on some paper towels before serving. 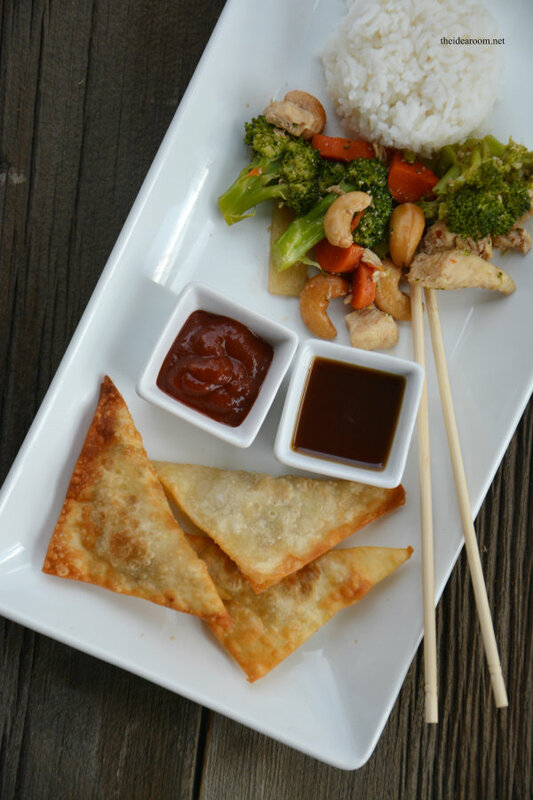 Mix all together and serve as a dip for Wontons or over your favorite Chicken or Asian Dish. We use these wonton wrappers which are at our local market just incase you are wondering what type to use. They seal great if you use the Cornstarch and Water to seal them. 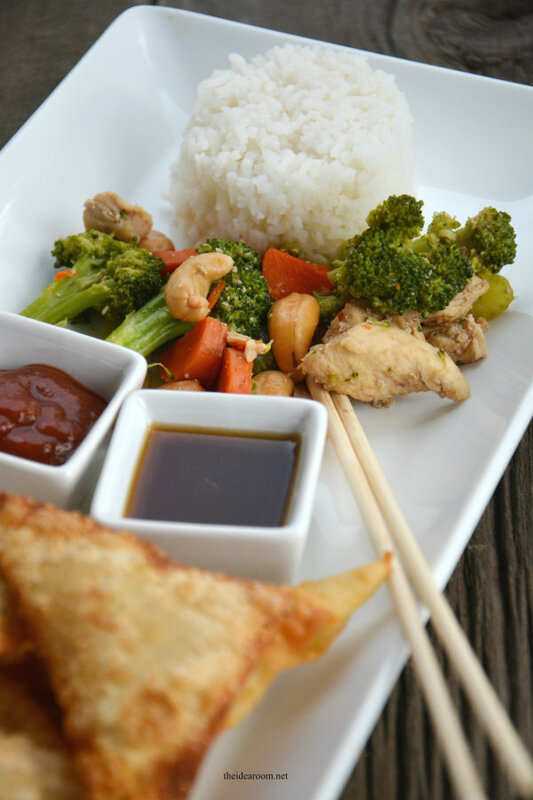 For the Cashew Chicken recipe, click on the link below. I didn’t make it in the Crock Pot this time….but, used the same recipe and just made it in a skillet on the stove. Sometimes I don’t plan ahead and don’t get my Crock Pot going early enough! But it is delicious either way! !